Sarah Hyland & Boyfriend Wells Adams Couple Up at Clayton Kershaw's Ping Pong 4 Purpose Event! Sarah Hyland strikes a pose with Bryan Cranston while stepping out for Clayton Kershaw‘s 2018 Ping Pong 4 Purpose! The 27-year-old Modern Family actress was joined by her boyfriend Wells Adams at the event held at Dodger Stadium on Thursday (August 23) in Los Angeles. Also in attendance were Ashley Iaconetti, her fiance Jared Haibon, Skylar Astin, Emily Osment, Ben Higgins, Robbie Amell, Cody Christian, Stephanie Pratt, Kunal Nayyar, Becca Tilley, Bill Nye, Brandi Cyrus, Josh Henderson, Mario Lopez, his wife Courtney Laine Mazza, and their children Dominic and Gia Francesca. Celebs and athletes competed in a high-energy ping pong tournament that culminated in a wild championship game. All proceeds support Kershaw’s Challenge beneficiaries in LA and the Dominican Republic. The organization helps to transform the lives of children across the globe and empower others to make a difference. 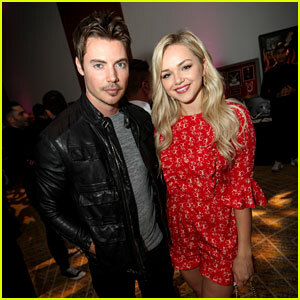 Josh Henderson poses for a photo with girlfriend Oana Gregory while attending The Creux Automatiq Affair on Wednesday (June 20) at The Jeremy Hotel in West Hollywood, Calif. The 36-year-old The Arrangement actor was seen checking out the Creux Automatiq luxury watch at the event, which was produced by Karma International and benefited the Aryana Health Care Foundation. FYI: Guests sipped on Carbonati Ultra Premium Vodka. 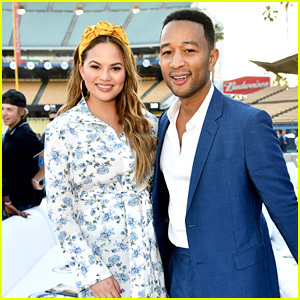 John Legend & Chrissy Teigen Attend Los Angeles Dodgers Foundation Blue Diamond Gala 2018! John Legend and Chrissy Teigen are looking good together as always! The 39-year-old musician and the 32-year-old model and cookbook author were both in attendance at the Fourth Annual Los Angeles Dodgers Foundation Blue Diamond Gala at Dodger Stadium on Monday (June 11) in Los Angeles. In addition to attending, John also performed at the star-studded event. 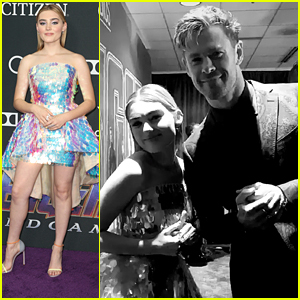 Chord Overstreet, Josh Henderson, Emily Osment, Haley Joel Osment, Terry Crews, Rebecca King-Crews and Carrie Ann Inaba were all in attendance at the event as well. The event was co-hosted by Arsenio Hall and George Lopez, and included a pre-show dinner party and post-show food trucks to celebrate the Los Angeles Dodgers Foundation. In the 2018 season, more than 10,000 youth will participate in the fifth anniversary season of Dodgers RBI (Reviving Baseball in Inner Cities), and LADF will achieve its goal of completing its 50th Dodgers Dreamfield. E! has canceled its scripted series The Arrangement after two seasons on the air. The series, starring Josh Henderson and Christine Evangelista, ended with its season two finale, which aired on May 13. “Over two seasons, E!’s scripted series The Arrangement has taken viewers inside the world of an A-list movie star filled with secrets, scandal and romance. While we have decided not to move forward with the series, we are incredibly grateful to the cast and our production partners,” a E! spokesperson said in a statement to Deadline. ARE YOU SAD that The Arrangement has been canceled? Maren Morris Joins Sugarland at iHeartCountry Festival 2018! Maren Morris hits the red carpet as she arrives at the 2018 iHeartCountry Festival on Saturday afternoon (May 5) at the Frank Edwin Center in Austin, Texas. 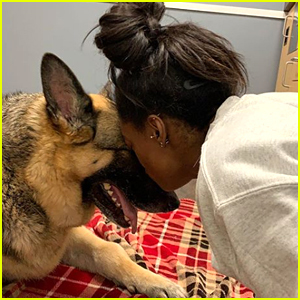 The 28-year-old country singer showed off her super toned abs in a white crop top and sparkling red pants as she was joined at the music festival by Sugarland members Jennifer Nettles and Kristian Bush. Other country stars at the event included Scotty McCreery, Jana Kramer and husband Mike Caussin, along with the guys of Dan + Shay. Josh Henderson, Candace Cameron Bure, and Skyler Samuels also stepped out for the event. Christine Evangelista & Josh Henderson Bring 'The Arrangement' to NBC Press Day! Christine Evangelista and Josh Henderson hit the red carpet as they arrive at NBC’s 2018 Summer Press Day on Wednesday (May 2) at the Universal Studios Backlot in Universal City, Calif. The actors attended the event to promote the new season of their hit E! series The Arrangement. Also stepping out for the press event were the stars of The Royals Williams Moseley and Alexandra Park along with Imposters co-stars Inbar Lavi and Parker Young.